Sarah Coolidge: Late last year we witnessed a windfall of literary awards coming out of Russia. 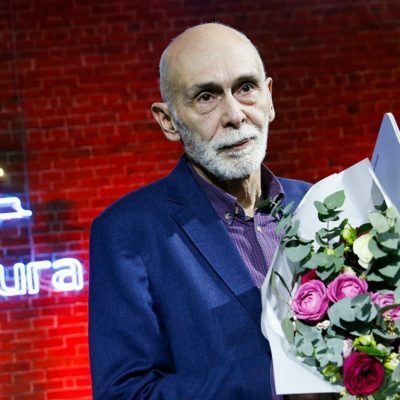 Leonid Yuzefovich won the Big Book Award, a Russian Booker grant, and the National Bestseller Award for Winter Road. Yuzefovich was also on the shortlists for the Russian Booker Prize and the Yasnaya Polyana Award. First of all, why do you think this book made it onto so many lists this year? What is it about Winter Road that appealed to so many judges across the board? Lisa Hayden: A lot appeals in Winter Road: Yuzefovich takes little-known figures and events from the Civil War and uses archival materials to create very engaging narrative nonfiction. He’s a historian and a wonderful writer, so that makes for a masterful, accomplished book. SC: Can you explain some of the controversy surrounding his book and the confusion over its classification? LH: I think there are two things that have been controversial. For one—and this applies most to the Russian Booker shortlist—the book is called a “documentary novel,” but even Yuzefovich’s publisher has said it’s not a novel…and the Booker’s mission is to recognize the “best novel of the year in Russian.” The other: Yuzefovich had already won both the National Bestseller and Big Book awards and then won those awards again, plus the Booker grant, this season. Leonid Yuzefovich follows a footnote across 100 years and 1,000 miles over at Literary Hub. A review of Horsemen of the Sands in Los Angeles Review of Books. Another review at Foreword Reviews. Join us in conversation with translator Marian Schwartz next Thursday, November 15, at Green Apple Books in the Park.